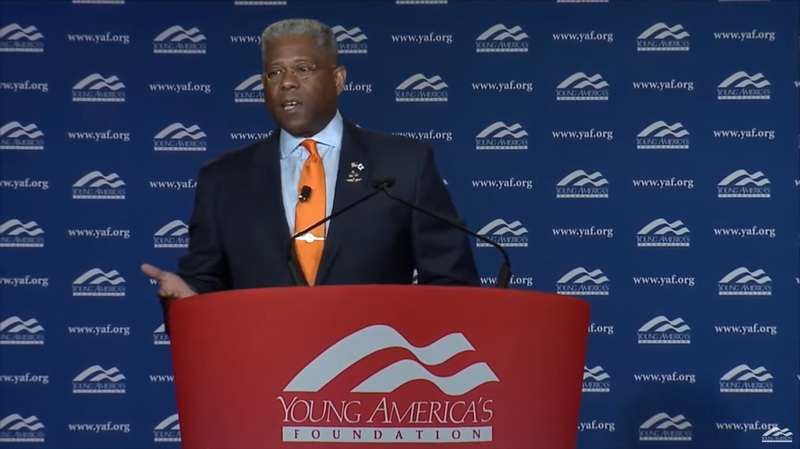 A fierce advocate of conservative values, strong education, and public service, Lt. Col. Allen West is the third of four generations of military servicemen in his family. During his 22-year career in the United States Army, Lieutenant Colonel West served in several combat zones and received many honors including a Bronze Star, three Meritorious Service Medals, three Army Commendation Medals, one with Valor device, and a Valorous Unit Award. His experience as a Congressman, Member of the Small Business and Armed Services Committees, and prolific leadership career in the United States Army, has provided West with a highly valued and respected voice on key issues. His life exemplifies that of a political icon, military hero, and riveting leader. Lt. Col. West believes it will be principled constitutional conservative policies, not politics, which secures a sound economic future for Americans – with growth, opportunity and returning the promise of the American dream for this generation and those to come. He is the third of four generations of military servicemen in his family. During his 22-year career in the United States Army, Lieutenant Colonel West served in several combat zones and received many honors including a Bronze Star, three Meritorious Service Medals, three Army Commendation Medals, one with Valor device, and a Valorous Unit Award. In 1993 he was named the US Army ROTC Instructor of the Year. In November of 2010, Allen was elected to the United States Congress, representing Florida's 22nd District. As a member of the 112th Congress, he sat on the Small Business and Armed Services Committees and was instrumental in passage of the 2011 and 2012 National Defense Authorization Acts. He is the former Executive Director of the National Center for Policy Analysis in Dallas Texas. LTC West holds a Bachelor’s degree from the University of Tennessee as well as two Masters degrees, one from Kansas State University and another from the US Army Command and General Staff Officers College. West is an avid distance runner, a Master SCUBA diver, a motorcyclist, and in his spare time he enjoys cheering his beloved Tennessee Volunteers. Lt. Col. West is a legacy life member of the Veterans of Foreign Wars, life member of the American Legion, life member of the Association of the United States Army and the Society of the First Infantry Division, Patriot Life Member (Benefactor) and Board of Directors member of the National Rifle Association. Lieutenant Colonel West is an inductee into the University of Tennessee Army ROTC Hall of Fame. 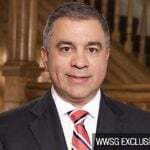 He is on the Board of Advisors of Amegy Bank, Dallas Region. West was appointed by Texas Lt. Gov. Dan Patrick to the Texas Sunset Advisory Commission. He is married to Dr. Angela Graham-West, a financial adviser, and they have two daughters, Aubrey, who recently graduated with her Masters from SMU, now attending Physician Assistant school in West Virginia, and youngest daughter Austen. In this up close and personal discussion, Congressman Allen B. West shares his early childhood years, which includes his early life as a military brat to then joining and serving in the Army, his experiences as an African American conservative, his philosophical and political foundation, and his vision for our country. Your audience will leave understanding Allen B. West not only as a political icon, but also as a person, a military hero, and riveting leader. Washington gridlock continues to hurt organizations nationwide. After serving in Congress, Representative Allen B. West won support from many groups along the American political spectrum and was named a torch bearer and a political icon. From an insider’s perspective on Washington, West is perfectly positioned to answer the major questions facing the U.S. from the debt ceiling issue and healthcare reform to slow job growth and a poor education system. In this intellectually fearless keynote, West explains the challenging dynamics between the Congress and the Administration, and how partisanship has drastically diverted the nation’s political course. As a Member of Congress, Representative Allen B. West served on the Committee on Small Business, and specifically two of its subcommittees: the Subcommittee on Contracting and Workforce; and the Subcommittee on Investigations, Oversight and Regulations. Based on his experience and his political philosophies, West knows that small businesses are the foundation of our economy. More importantly, recent laws such as the Affordable Care Act (ACA) are jeopardizing the livelihood of these businesses and the U.S. economic foundation. West shares his concerns for small business owners and the outlook for our economy. After a 22-year military career, Lieutenant Colonel Allen B. West USA (Ret) certainly understands the value and challenges of effective leadership. Soldiers are trained to face hidden enemies, adjust to changing landscapes, meet short deadlines, and experience the fog of war. LTC Allen B. West teaches organizations how these same military principals when applied to the business world will help ensure an organization’s success in today’s market. Typically, African American and conservative are not synonymous. As the first African American, Republican Congressman from Florida since 1876, Congressman Allen B. West is an anomaly. He was also born in the south Atlanta, GA. West shares why he holds certain political values, and how they complement his background. In this unparalleled discussion, West will challenge all your assumptions and break down all stereotypes, including African American does not mean Democrat. Your audience will leave with a new sense of what political demographics really means in today’s day and age. Protecting Our Nation Begins with Equipping the Troops? The state of 21st century warfare has drastically changed. Unconventional threats such as drones, robotics, and cyber warfare now exist and not only threaten our troops, but also our nation’s citizens. Properly equipping and training is essential to ensuring the security of our country and, the latest advancements in U.S. military capabilities are not enough to ensure our national security, according to Congressman Allen B. West who also served 22 years in the U.S. Army. While in Congress, West served on the House Committee on Armed Services and also on the Subcommittee on Emerging Threats and Capabilities. 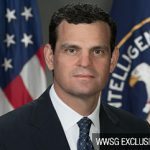 West knows first-hand the threat of not properly equipping and training soldiers for today’s unconventional battlefield, and your audience will gain a better understanding for the dynamics that politics plays on modern warfare. A former military leader and a politically conservative leader, Congressman Allen B. West rose to become an icon. 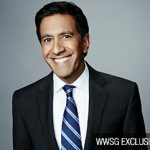 His fearless approach to voicing key issues provides not only an inspiration to his half-a million followers, but also a valuable point of view. West knows the value of an inspirational leader, and more importantly, how to be one. In this stimulating keynote, West explores the top characteristics and principles of a good leader. Your audience will leave with applicable strategies for bettering their leadership approach. (Fox Business) – Lt. Col. Allen West (Ret.) discusses the crisis at the southern border and why the U.S. needs to protect its asylum laws. What Does March Madness Have to Do with Socialism? (CNS News) – Yes, it is that very special time of the year, and this morning many of you began your office bracket pool contests. (CNS News) – We must stop thinking of America as a geographic piece of territory. Yes, we are these United States of America, and we do have a sovereign nation that should be protected and secured, but America is far more than just borders, boundaries, and a grand expanse of land. America is an ideal. (CNS News) – If there is one question that must be posed, does America truly know the answer to the question: What is conservatism? (CNS News) – I must ask, how many of you ever thought you would hear an American president, while speaking at a State of the Union Address, assert that “America will never be a socialist country”? (Fox Business) – ‘Hold Texas, Hold the Nation’ author Allen West with the latest on the unrest in Venezuela. (CNS News) – Where were all the news cameras and hoopla? Why is it that an organization like Angels of America’s Fallen must undertake the Herculean effort of supporting the dreams of our real American dreamers? (Fox Business) – Lt. Col. Allen West (Ret.) on how disputed Venezuelan President Nicolas Maduro claimed that he won’t resign and vowed to rebuild the economy. Who Are These Evil Rich People? (CNS News) – Unless you have been hiding under a very large rock at the bottom of the sea, you know that the progressive, socialist left has made wealth redistribution a centerpiece of their economic plan. (The Daily Wire) – Allen West, former congressman and retired U.S. Army Lieutenant Colonel, joins Ben to discuss the military, foreign policy, racism, the state of the Democrat Party, and where the GOP has gone wrong with minority outreach. Would Dr. King Be Happy or Shedding Tears for the Black Community Today? (CNS News) – There are two special birthdays this week, both of whom were, and always will be, extremely influential in my life. What Is the Future of Liberty in America? (CNS News) – We now have a new majority in the U.S. House of Representatives. Already we are seeing a very distinct direction in which this majority will legislate. (CNS News) – Someone once quipped a few years back that “we are five days away from fundamentally transforming the United States of America.” My question is simple: why would anyone want to fundamentally transform that true grit, the indomitable, entrepreneurial drive and determination, the abject courage to mount upon a 2,000-pound, massive animal and ride it for 8 seconds? 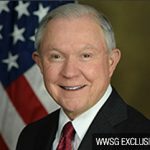 (CNSNews) – I believe it is time to cast aside emotions and ideological agendas and look at the situation with illegal immigration in America objectively. 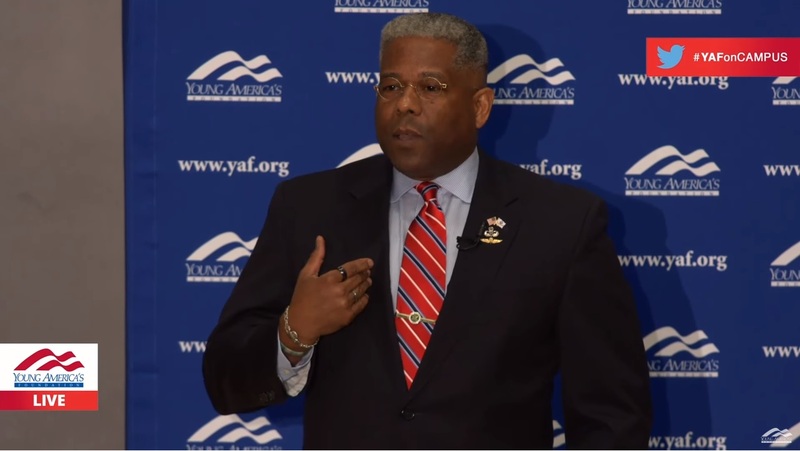 Allen West: How Do You Fundamentally Transform the United States of America? (CNS News) – Imagine we are in a court of law, that we have gone through a lengthy trial, and it is now time for closing arguments. On one side we have the plaintiff, progressive socialism, and on the other side there is the defendant, constitutional conservatism. Progressive socialism has brought a lawsuit against constitutional conservatism demanding control/power. Progressive socialism makes the claim that their ideological agenda is better, and the jury, the American people, must decide the case. (The Old School Patriot) – Lieutenant Colonol (Ret) Allen B. 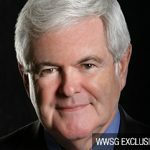 West releases his new book “Hold Texas, Hold the Nation: Victory or Death”. 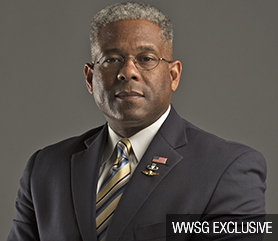 (Tea Partiest) – Lieutenant Colonel Allen West (Ret.) on the possible summit between President Trump and Kim Jong Un. Charles Payne. (CNS News) – The issue of school safety can be solved, but for the left, that is not their aim. Their goal is to disarm Americans. And horribly so, they are willing to emotionally use and abuse our children to accomplish this. (Townhall) – I found a definition of Yin and Yang to be, “In Chinese philosophy, yin and yang (also, yin-yang or yin yang) describes how opposite or contrary forces are actually complementary, interconnected, and interdependent in the natural world, and how they give rise to each other as they interrelate to one another.” It appears that our 2016 presidential election cycle is early on being defined by that philosophy. (WND) – Allen West, retired U.S. Army lieutenant colonel and former congressman from Florida, pointed to the recent downing of Russia’s jet by Turkish fire and said history buffs ought to beware: the next world war could be on its way. (CNS News) – Due to the weakness of the Obama administration — or perhaps the intentional decimation of our global influence and military capacity — we could be on the verge of a major conflict. Former U.S. Congressman Lt. Col. Allen West on China’s expansion of military presence into the Pacific. When the Dallas-based National Center for Policy Analysis went looking for a new top executive last year, the free-market think tank turned to Allen West—an outspoken former U.S. Representative from Florida’s 22nd District and a bona fide star of the tea party movement. (Townhall) – The reauthorization of the Export-Import Bank is a bad idea on many levels. Yet, the Senate voted late Monday night to reauthorize the Export-Import Bank using a series of convoluted parliamentary procedures that blocked opposition and permitted the Export-Import Bank to bypass the normal law-making procedures. (Townhall) – We awoke Tuesday morning to learn that history had indeed repeated itself. The lessons of Neville Chamberlain’s failed diplomatic effort were not studied nor learned by President Barack Obama and Secretary of State John Kerry. The claims of “peace in our time” are empty if dependent upon the goodwill of despots, dictators, theocrats, and autocrats – of which the Iranian regime can be classified. (Townhall) – I am truly honored to be presenting my very first piece for the readers ofTownhall.com as a contributor. I started as a Townhall.com reader myself while on assignment as a civilian-military advisor to the Afghanistan National Army, 2005-2007, after having spent 22 years on active duty service to our Republic in the U.S. It is against that background that I wish to share my thoughts. 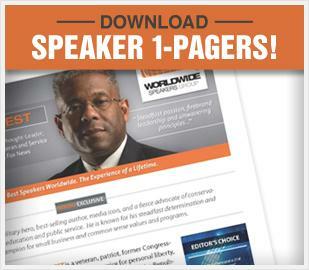 Congressman Allen West, voted #12 among the top 100 most influential African-American republicans. (The Missouri Times) – Former Congressman and retired Army Lt. Col. Allen West will be heading to the Show Me State in two weeks, where he’ll be the keynote speaker at the Missouri Cattlemen’s Association’s ‘Straight Talk’ event. 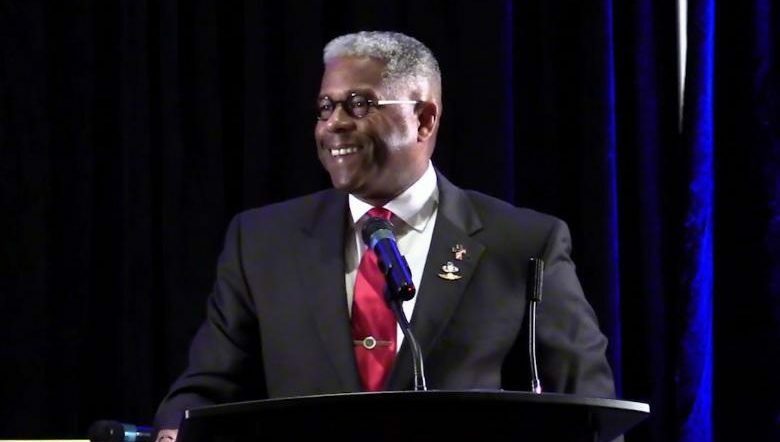 "A passionate, conservative voice on American greatness…"
"Allen West was incredible!! The crowd was so pleased to hear him. His message was impactful!! Rave reviews!!" "The events were both huge successes due in large part [to Allen West's] presence."